When we were pregnant with Jane (3yo -- our youngest) we decided that due to Amanda's consistent health related pregnancy difficulties, and the evident worsening circumstances with Jane’s complications, we were done having babies -- we were at peace with this! However, the lord had other ideas.. Just minutes after Jane was born, as the NICU team was trying to stabilize her, Amanda had the strongest impression that our family simply was not complete. She even partially expressed these thoughts to me, literally as Jane was trying to find her first breaths. One experience in particular, was our precious friends for whom Amanda had the opportunity to assist in caring for their special children, and in turn (our little family) gained a newfound perspective on “what could be”. The kind of “what could be” that allowed for a very clear and sacred knowledge that we have the capacity to love, unconditionally, with all our heart, mind, and soul, regardless of blood, regardless of status, regardless of ability, and regardless of circumstances. In the midst of these experiences, we were seemingly prompted… more so “carried”, nearly immediately, into the opportunity of a lifetime.. Of an eternity..
We are in the process of adopting the most precious little girl. She currently resides (in wait for us) in an orphanage in the province of Sichuan in China. 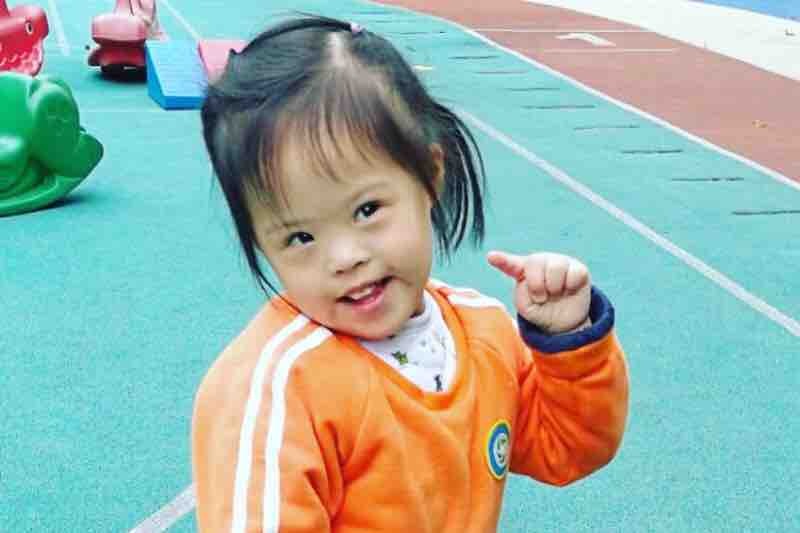 She is 3 years old, and she has Down Syndrome. She was born in June of 2014, and matter of factly, the same month we lost (what would have been) our third child. 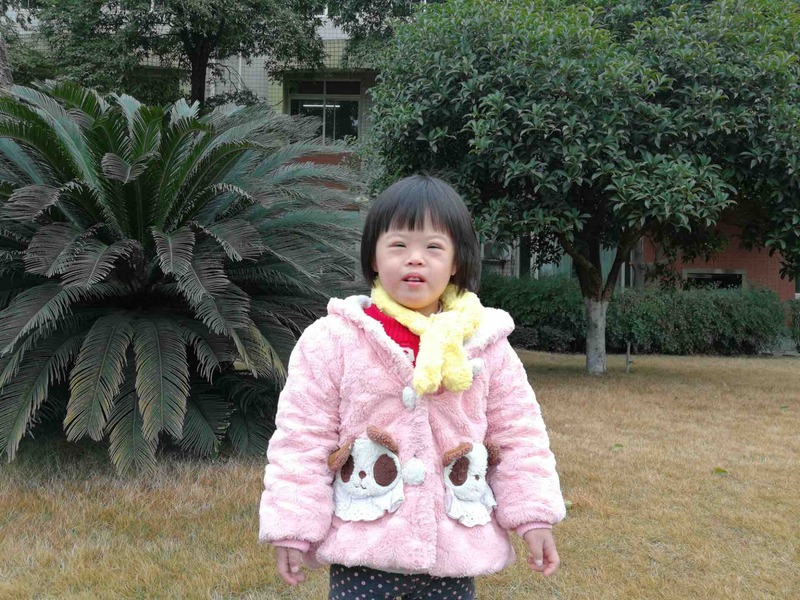 We “committed” to her the week of Thanksgiving, and got our Pre-Approval from China to move forward with the adoption on December 1st. We already have a connection with her that is undeniable and quite prominent in our home. We have a lengthy journey ahead that includes an arduous amount of paperwork and home study processes as well as a financial commitment that will certainly test us. International adoption is a long and cumbersome process, but we know we will be lifted up and blessed with the ability to endure in order to bring this little one home at long last. We have a goal to bring her home to her forever family before Christmas of 2018 and appreciate everyone's support from the bottom of our hearts! Q. Can she feed herself, and if so does she use a spoon or chopsticks? A: She can feed herself with spoon but she eats very slowly when she feeds herself. So the caregivers in general feed her instead. Q. Does she drink from a bottle or from a cup? A: She can drink from a sippy cup. Q. Is she a picky eater or will she eat most of what is offered to her? Is there anything that she will NOT eat? A: She doesn't like to eat hard and dry food. Q. Does she have any allergies? A: We have not found that she has any at this time. Q. What size clothing is she wearing at this time? A: Her height is 92cm, weight is 14kg. You can purchase her clothes accordingly. Q. Does she have a favorite color? Q. If she is sad, what seems to comfort her? A: She is a good-natured and obedient girl. When she is sad, you can hug, comfort and talk to her, she calms down very quickly. FAMILIES FOUND FRIDAY! Every Friday is a big deal in the adoption world, as they post photos of the precious orphans who have found their forever families! Look at the sweet face of our Little Sister who made the list! We are one tiny step closer to getting her home to her Forever Family! As we sit here pondering the past several weeks, since we were introduced to Little Sister, and all of the love, support, and kind words shared by family & friends. Our hearts are so full❤️The love we feel for this sweet angel girl awaiting her family in China is overwhelming. There are no words to adequately describe the love we feel for our sweet sister, brother-in-law, and their 3 kids. We can’t think of a better family for Little Sister to come to, and a more selfless act than giving a beautiful 3 year old orphan, with Down Syndrome a forever family. How blessed she is, and she doesn’t even know they are coming for her! As we have pondered the upcoming days and months of waiting, paperwork, home studies, and financial obligations The Hilton Family are going to endure, It feels overwhelming. It has been said many times “We wish there was something we could do”. After many discussions, we decided there were some things we could do to ease the burden of the adoption process. The financial obligation to adopt (especially internationally) is astounding. There are fees associated with everything. Once the adoption is approved, Amanda & Cassidy travel across the world to China where they stay finalizing the process for 2 weeks. Once Little Sis arrives home in Utah, the work doesn’t stop. Little Sister is going to require immediate medical attention and long term therapy. The road is going to be bumpy and long, but there is something we can ALL do to help the Hilton’s. The Swonson Family has started a GoFund Me Account, in hopes that we can help earn some money to ease the upcoming financial obligations. All of the money earned will go directly to the Hilton’s for adoption fees, travel, and most importantly the medical needs & long term therapy for Little Sis. Wd have no doubt we can raise enough to make a difference. Every dollar helps. Every donation big or small makes a difference!